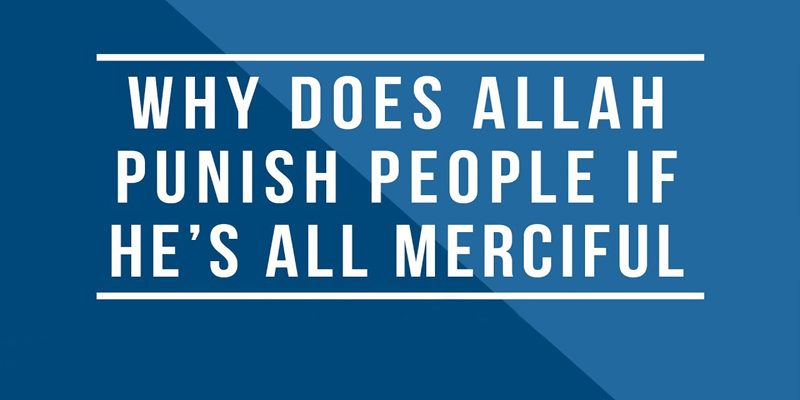 Home / Unlabelled / ALLAH IS MERCIFUL - WHY PUNISHMENT? ALLAH IS MERCIFUL - WHY PUNISHMENT? 1- Allah created human beings and He gave them everything for their existence. 2- Allah guided people through His Prophets and Messengers and gave them all the possibilities to be good and faithful. 3- If people still reject Allah and turn away from Him, then He does not care for them. 4- Such people have made themselves unworthy of His love and compassion. It is wrong to accept only some aspect of Allah and ignore or negate some other aspects. When people believe only in the love of Allah and ignore His justice and power they become careless and do whatever they wish. When people believe in the justice and power of Allah and ignore His love and compassion they become hermits and monks and run away from the world and its enjoyments. Islam teaches us a balanced life and so it teaches us both aspects of Allah’s Being. Allah created human beings and He gave them everything for their existence. He guided them through His Prophets and Messengers and gave them all the possibilities to be good and faithful, but if they still reject Him and turn away from Him, then He does not care for them. Such people by their own actions have made themselves unworthy of His love and compassion. He warned them again and again that the consequences of their sins and rebellion will be severe, but if they did not pay any attention to Him, so why should He show any mercy to such ungrateful, stubborn, and evil creatures?